Edmonton opens its doors for the world’s premier paintball provider! Having been officially opened on August 17th, the brand new Sherwood Park paintball centre in Edmonton, Canada joins the already established Tsawwassen paintball centre, giving fans of the sport even more choice in their search for awesome paintball experiences. Set in sprawling, picturesque woodlands and only 20 minutes from the central CBD, it won’t take long for the centre to prove a big hit with the local Edmonton residents and Canadians from all across the country. 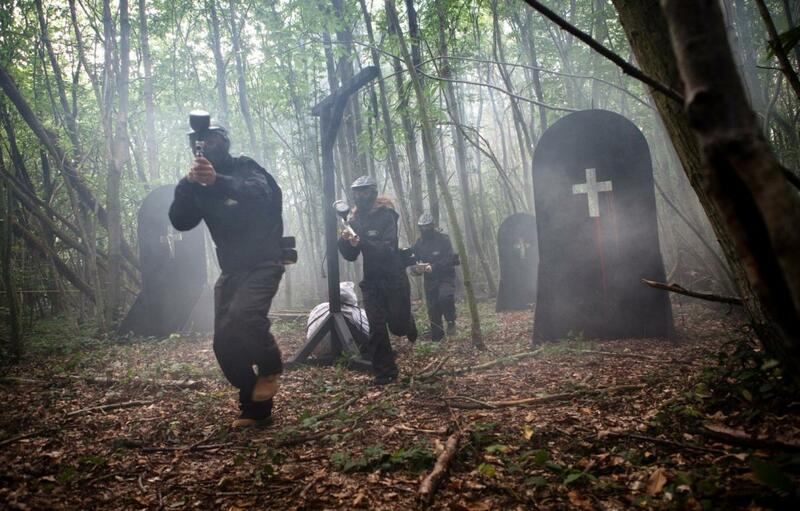 Like at all Delta Force Paintball game zones across the world, Sherwood Park features only the best movie-set quality props and intense paintball game zones. Whether you are the last man or woman standing in the speedball arena, or trying to sneak your way past the enemy in the atmospheric Resident Evil zone – maybe you have even set your sights on using the tank in Armoured Invasion as cover – the variety of mission scenarios will keep players totally entertained throughout the day. The new Delta Force Paintball centre even featured on a Global Sports news piece, showcasing some of the game zones and the reactions from the very first visitors to take part; check out the video below! What’s more, with special deals and discount packages available for a limited time only, if you happen to be in the area it really is worth getting in on the action as soon as possible. Otherwise, be sure to contact Delta Force Paintball today on 0203 869 9301and find out how we can set you up with affordable and fun paintball at your nearest centre!